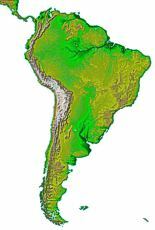 This is a monthly investment report for the South America Focus managed portfolio at Covestor. On SimpleStockInvesting.com you may find other articles about this South American & Brazilian stock-market investment, including some other reports. The latest are available for CVIM customers, at their site. MARCH 25, 2010 — The US markets have performed very well in March so far (I am writing this report on the 25th), outperforming the benchmarks that I usually use for this portfolio, namely the Brazil ETF's with tickers EWZ, BRF, the Chile ETF ECH, and the gold-mining ETF GDX. The performance of EWZ (following Brazilian large-caps) was not far from the S&P 500, but the rest lagged by several percentage points, more than 10 in the case of ECH (following Chilean stock). This model performed well when compared to those benchmarks, so I think we had a positive month (so far), although this result doesn't look good when compared to the S&P 500, as it is done on CVIM profiles. Since the inception of this portfolio, the performance of South American markets, measured in US dollars, has been weaker than the S&P 500. US stock also performed better than several other global markets, for example Europe and China. In such a scenario, we need to remember that each model portfolio has to be analyzed in the context of its own theme (or themes). Otherwise, we might end up concentrating too much capital in the market that recently returned the most. Doing that would be nothing else than under-diversifying and chasing performance, which are probably the most common errors in investing. In contrast with the positive note of the first paragraph, I must say that this month's transactions had bad short-term results. Not the sale of some XRA, which was at an appropriate moment, considering that I sold to rebalance and because I thought $8.70 might offer short-term resistance, which was corroborated during the following weeks. But the allocation of that capital, plus some cash, to increase our positions in Silver Standard Resources (SSRI) and Gol airlines (GOL) has lost some money. I am not a momentum-trader counting on short-term profits, so this happens often with my investment choices. Like it happened with the purchase of some Peruvian Credicorp (BAP) in January, which was losing more than a 5% in the month following the purchase, but then it recovered nicely and it is today roughly a 10% more expensive than when we purchased. I hope SSRI and GOL imitate BAP and experience a reversal soon. I am still bullish about those two companies. Gol Linhas Aéreas is one of the two largest airlines in Brazil, it is very competitive in the domestic market, well managed, has an excellent image and a modern, fuel-efficient fleet. Brazil's geography favors air travel because the country is large and mountainous, even short trips on the coast side can be a pain if done by land. Relative to other countries, few Brazilians travel by air, even after adjusting by income or when comparing with other developing nations, so there is plenty of room to grow. To that picture, add the economic-growth possibilities of the country, plus the fact that they are organizing the 2014 (soccer) World Cup and the 2016 Olympic Games. My hypothesis is that this stock was acquired by speculators seeking high profits, and now that the expected growth is not as spectacular, it needs to change hands to less-adrenalized investors. I have been trying to sum up a rationale for the recent weakness of this stock, it wasn't too easy. Raising fuel costs are an important risk for airlines, and the recovery of oil prices has had its effect, but this doesn't seem to be reason enough to explain the dip suffered by Brazilian airlines, not to mention that Gol has enough profitability to tolerate some increase in fuel costs. There are risks related to the country, for example, the necessity of more investment in airport infrastructure. Airports in Brazil are run by a state-owned company that is under pressure to open its capital in order to keep pace with the growing airline industry, something it doesn't seem to be achieving. It is worth mentioning that they do have important investments, plus Gol and other airlines are incorporating technology to simplify check-ins and alleviate the problem, but infrastructure is still a concern. One more risk is the irruption of a new company, Azul Linhas Aéreas, created by the Brazilian-born founder of Jetblue Airways in the US. Azul currently captures just a tenth of Gol's market size, but it is poised for strong growth, although it may obtain much of it from less-competitive small airlines and new markets, as suggested by recent managerial direction and by the strong competitive positions of the leaders Gol and TAM. Still, Azul may be a factor to keep prices down, as it has been last year. If we sum up these doubts and add the inherent risk of emerging markets, we can understand that strong, long-term growth in Gol's earnings is far from assured. But I don't find its current valuation to be counting on strong growth. On the contrary, to me it looks valuated like a stock with little growth potential. My hypothesis is that this stock was acquired, during 2009, by many risk-inclined speculators seeking high profits, and now that the markets recovered and expected growth is not as spectacular, it needs to change hands, from them to less-adrenalized investors. Recent events may have hurried up the sales from the first group and slowed down the purchases from the second. Namely, the recovery in the price of oil, the opening up of Congonhas airport to three small airlines, including Azul, and the signs of a forthcoming increase in interest rates in Brazil. I think this picture may have resulted in an undervaluation of the stock that will be corrected when longer-term investors catch up. More at Covestor Investment Mgmt. But, if I happen to be wrong and Gol is fairly valued, it is still useful equity for our portfolio, especially considering that more than a 10% of our assets are in Petrobrás (PBR) stock, thus correlated to oil price. Airline stock are inversely correlated to oil price, so they should normally act as a hedge. Once more, I left no room to explain my long-term views for SSRI. That will have to be postponed again, but I can briefly comment on the recent purchase. Early in the month, I saw the price of silver and copper rise, and believed it could be a catalyst that could start a movement towards a higher value that, in my opinion, may be more compatible with the company's assets. Therefore, I increased our position, but shortly afterwards metal prices calmed down and reversed their trend, and so did the stock. I wish you a very pleasant month, and thanks for following. You can auto trade this portfolio with Covestor Investment Management. Click here to find out how. "April 2010 report for the South America Focus portfolio"